Maria is a senior Bachelor’s of Science in Business Administration, Management and Human Resources Concentration with a minor in music, clarinet studies. She is also the Accounting Manager and Marketing/Outreach Coordinator for Active Minds at University of the Pacific, Building Manager at DeRosa University Center, clarinetist for the University Concert Band, and Community Involvement Program Scholar. Outside her studies, Maria serves on the External Affairs committee for the Women’s March Stockton and is a member in The Expat Women Club, which is a global community of professional women. After her summer 2018 internship with Nordstrom, Maria fell in love with Retail Management and plans to enter that field after her studies. Maria is planning on attending graduate school to pursue her MBA. In the future, it is her goal to become the Chief Human Resources Officer with a company that empowers their employees towards personal growth, individual success, and provides a platform for employees to propel in their respected job opportunity. She is extremely passionate about working with our employees to serve them in a well rounded job opportunity, and is looking forward to help establish organizational cultures within her future employer. Antoniette is a senior Bachelor of Science in Business Administration student with concentrations in Business Law and Management and Human Resources. 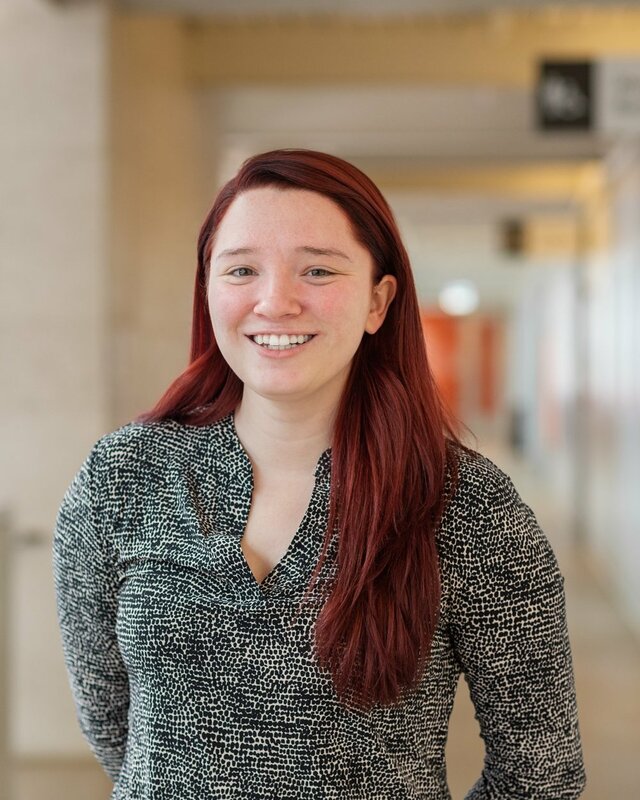 She is the current President and founder of the Three Seeds Non-Traditional Student Organization on campus. She is also an active member of the National Society of Leadership and Success, Sigma Alpha Phi chapter. Antoniette is a Conflict Management Tutor at the General Academic Tutoring Center, Student Administrator for the Services for Students with Disabilities office at Pacific, President of the PTA of her daughter’s school and a Community Involvement Program Scholar. Outside of school, Antoinette enjoys investing time into the community by partnering with local organizations in which she brings various resources to underserved communities. Her personal mission is to teach financial literacy and goal-reaching skills. She is also a small-business owner that brings personal space organization solutions to the Stockton, Sacramento and Bay Area. In her free time, she enjoys baking, interior design and travel. Antoinette is planning on attending Law school to pursue her JD/MBA after undergrad in 2019. In the future, it is her goal to act as an independent consultant to global businesses who wish to pursue practical, profitable and ethical solutions. She is extremely passionate about human rights and instilling a prevailing management philosophy that is based on ethical practices and behavior. She hopes to work with companies and employees to raise standards of ethics in human resources, both locally and global business community. Wajiha Tahir is a junior majoring in Business Administration with concentrations in Management and Human Resources and Marketing. 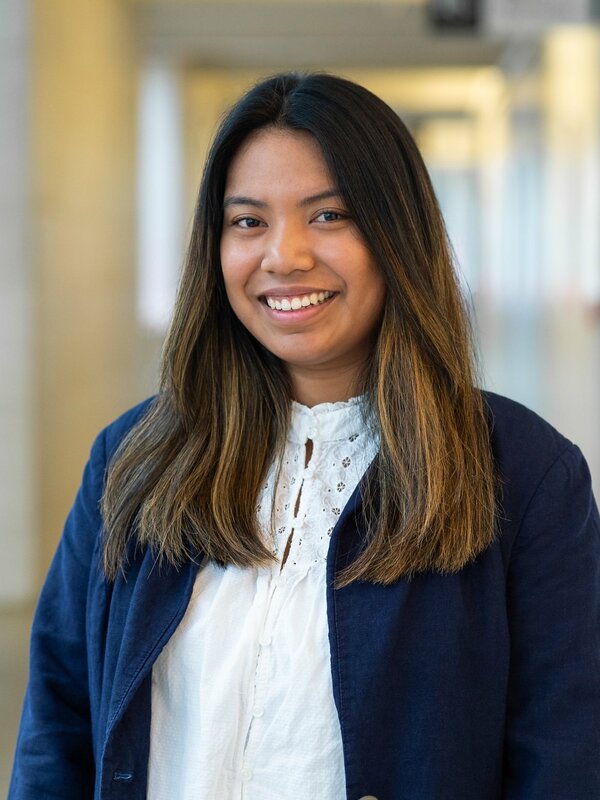 In addition to the Pacific Society of Women in Business, she is also a Community Involvement Program Scholar, the current secretary of the Muslim Student Association, and the Social Media Ambassador at the Eberhardt School of Business. Wajiha is passionate about giving back to the community and making a positive impact in people’s lives. In the future, Wajiha plans on attending graduate school to pursue her MBA degree and then working as an Advertising or Promotions Manager for a reputable company. Her dream job would be to work for Google, Apple, or Amazon. In her free time, Wajiha enjoys spending time with friends and family, photography, reading, and exploring new coffee shops. Romalyn Elew is a junior majoring in Business Administration with a concentration in Marketing. She is a scholar in the Community Involvement Program and is the current Social Media Coordinator for the Community Involvement Project Student Association. Romalyn is also a Stripe Cadet for the University’s Public Safety division. Outside of her studies, Romalyn attends concerts of her favorite artists and has seen artists like Childish Gambino and Drake live. She also works for the Stockton Ports as a Promotions Team member for all home games. Romalyn has published works under Caduceus-Undergraduate Health Journal, entitled “Freshman 15.” She’s very passionate about mentoring our youth and has held positions with San Francisco Giants, Junior Giants League as she encouraged participation in the education, health and bullying prevention programs during her time with the organization. In the future, Romalyn is highly motivated to work for a company to develop their brand identity and excel as a marketing manager. Keira is a junior dual degree student pursuing a Bachelor of Accounting, Bachelor of Science in Business Administration- Business Law, and a Master’s of Accounting. She is a Community Involvement Program Scholar and works as event security personnel. During her spare time, Keira loves hiking, exploring new places, and spending time with her friends and family. In the future, Keira plans on attending law school after her master’s degree. She would love to be an attorney practicing in New York City, NY. Nasya (Nayeli) Castanon is a junior Business Administration with a concentration in Human Resources and Management and a Spanish minor. She is the current secretary for the Community Involvement Project Student Association and a scholar in the Community Involvement Program. Nasya is also the conference services assistant for the Conference and Event Services at the University. She works as a signage manager, event monitor and for the GHES Commons at the WPC. She loves spending her free time with family and puppy. She enjoys listening to music catching up on TV shows and browsing through pinterest to get ideas on organization/planning, and traveling to new places. Nasya’s dream job currently is to work for a hotel as a manager of event services where she can assist clients in planning their events, such as weddings, conferences, and fundraisers. In the near future, she wants to be able to be an event planner as she enjoys working with clients. She finds great joy in being able to make their events come to life and being able to share the experience of bringing people together through different types of events. She plans to be able to expand her event services globally. Nancy is a junior Business Administration student with concentrations in HR Management, Business Law, and Entrepreneurship. During her spare time, Nancy enjoys camping, kayaking, and hiking. In 2018 Nancy was team captain for San Joaquin General Hospital in the American Heart Association 5k run/walk. She is currently preparing to take the CA Real Estate Exam. She also runs a side business as a Small Business Consultant to help the underrepresented small businesses in her community. Nancy’s current dream job is to work for herself. She enjoys consulting small businesses, working in the medical environment, and real estate.